Mayor Karen Majewski, lunching at the White House. Hamtramck, your mayor is a mover and a shaker. As previously reported in this paper three weeks ago, the mayor is the newly named president of the Michigan Municipal League (or MML), having naturally moved up from her prior post as the League’s vice president. One of the early perks of her new title was a trip this past week (along with all the other states’ Municipal League presidents, executive directors and others) to the White House. While there on Thursday, Oct. 27, she got to attend some briefings by various members of President Obama’s cabinet in the afternoon, and then a two-hour reception, highlighted by a Jobs Bill speech by the president himself, after that. The mayor spent time in the company of Saline Mayor Gretchen Driskell, Troy City Councilmember Robin Beltramini and National League of Cities Board Member & MML Executive Director/CEO Dan Gilmartin. She also got to kibbutz a bit with Madison, Wisconsin Mayor Paul Soglin, she said. It marked the first time Majewski had been to the White House. She seemed to have found it a bit different than she had originally imagined it. “The rooms are rather small – cozy, even,” she said. The rooms she mentioned having visited are all on what’s called “the State Level” of the Executive Residence – the actual “home” portion of the White House complex (which also includes the more government business-oriented West and East Wings). 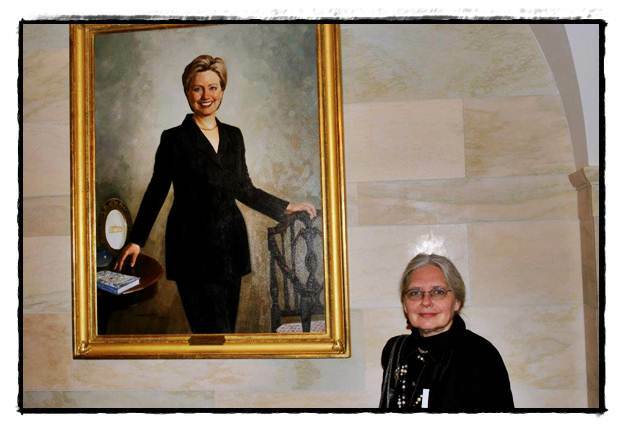 “We saw the East Room, the Red Room, the Green Room,” she said. 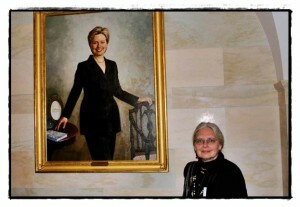 She was particularly impressed by the presidential portraits. Getting there in a timely fashion was a big part of the challenge. Catch her soon, as she’ll be off again on another trip related to her duties next week, this time to Phoenix. Next March, it’ll be back to Washington D.C. again: the position involves two conferences per year with the Michigan Municipal League.